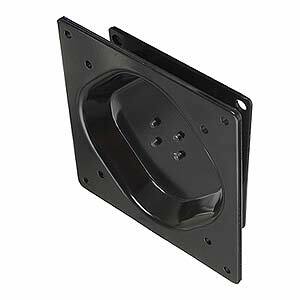 This all-metal mounting kit securely attaches your 75 or 100mm VESA-compliant LCD monitor to a solid wall. Its two-part sliding mechanism allows you to quickly remove the monitor by simply lifting it straight up. This is the perfect wall mount for LCD displays in retail installations, restaurants and home offices. Includes monitor-mounting hardware. Wall-mounting hardware and display not included.